'Suspect is armed and dangerous' Jump to media player A major police operation is under way following the fatal shooting of an officer at the Massachusetts Institute of Technology (MIT) which is being linked to the bombings at the Boston marathon on Monday. 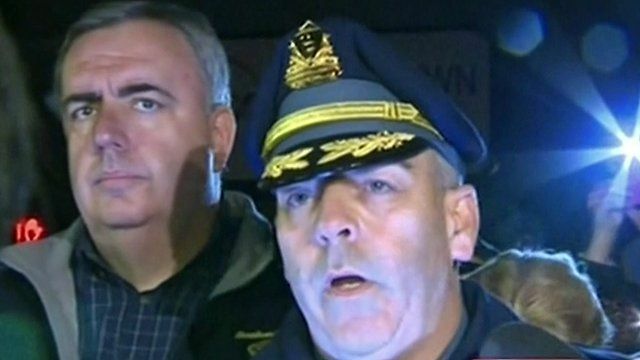 Boston suspect killed during manhunt Jump to media player US police are hunting a suspect in Monday's deadly Boston Marathon bombing in a small town near the city. 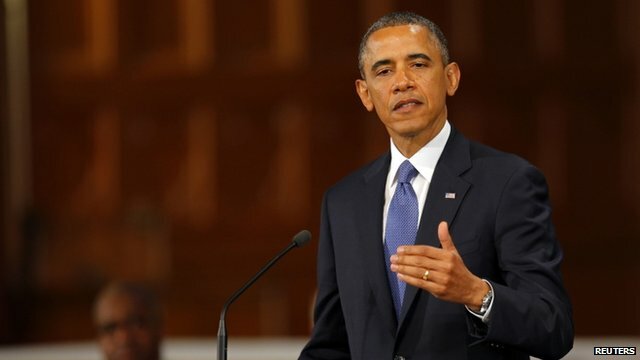 Obama vows justice for Boston attack Jump to media player At a memorial service, President Obama promises justice for victims of the Boston marathon blasts, as footage of two potential suspects is identified. 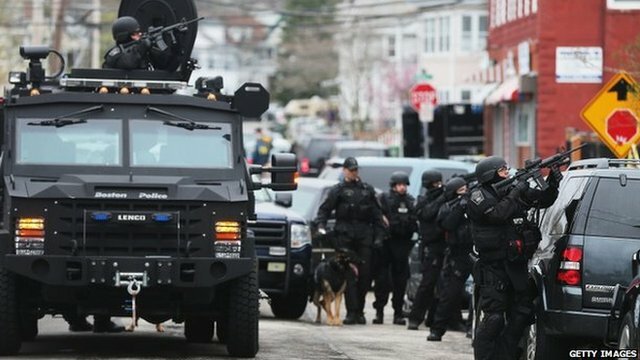 A major police operation is under way following the fatal shooting of an officer at the Massachusetts Institute of Technology (MIT) which is being linked to the bombings at the Boston marathon on Monday. Speaking at a news conference, police told residents to remain in their homes and not open their doors. 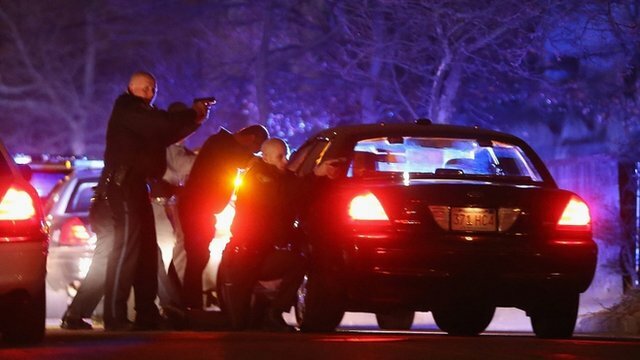 Police confirmed one suspect was killed during a car-chase and shoot-out in Watertown, six miles (10km) from Boston.